Dania Alexandrino, University of Florida College of Journalism and Communications Innovation News Center Spanish-language news manager is the recipient of the 2018 UF International Educator of the Year Award for staff. The award acknowledges outstanding contributions by faculty and staff to the internationalization of the College and the University. Alexandrino was previously awarded the College’s International Educator of the Year for staff, which put her in contention for the University’s award. 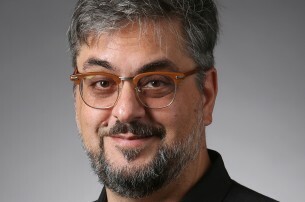 Alexandrino was hired in spring 2017 as the first Spanish-language news manager of Noticias WUFT, a 30-minute weekly radio news program on WUFT 89.1/90.1 FM. 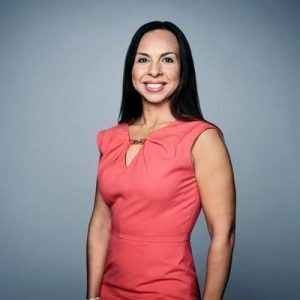 Since that time, her accomplishments include revamping the Noticias website, establishing social media accounts and creating new opportunities for bilingual students in news and sports. She has hosted visiting educators from Latin America and launched the Telemundo Academy, a partnership between CJC and the Telemundo broadcast network. The Academy is a training opportunity for students pursuing broadcast careers in Spanish-language markets. In addition, she is currently building a certificate program with the UF Center for Latin America Studies and the Language Learning Center and Hispanic Communicators Association advisor.